Before Zachary Levi got the call to play the man who says Shazam, Dwayne Johnson had been announced as Black Adam in the New Line Cinema release. If you saw Shazam! last weekend, you may have noticed that Johnson isn’t actually in the film, but he does have a credit as executive producer. However, if you know your Shazam lore, you did catch that Black Adam’s story is told by the ancient wizard, played by Djimon Hounsou. Whether by magic or computer graphics, a figure that if you squint maybe sort of looks like Dwayne Johnson appears briefly. 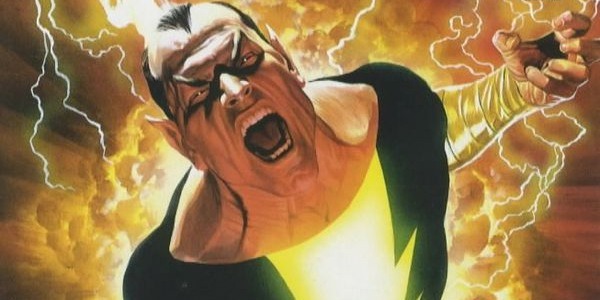 According to Johnson in an Instagram video released today, “…you’re trying to tell two very big origin stories in the world of comic books of this DC universe.” Granted, in the 1940s, Black Adam (aka “Teth-Adam”) wasn’t that major a villain in Captain Marvel’s books, though he was in a memorable story. It’s only been in the last 20 years or so that Geoff Johns among other creators recast Black Adam as a true anti-hero; arrogant, but with a nobility lacking in his earliest appearances. Thus, to give Levi his due, Black Adam gets his own movie, which Johnson says will begin shooting a year from now. Weep not for Shazam! 2. The beauty of David F. Sandberg’s film is that it nods in many directions that it could follow for a sequel before confronting Black Adam. SPOILERS – DO NOT READ BELOW IF YOU HAVE NOT SEEN THE FILM. I MEAN IT BECAUSE I CARE. In the opening sequence with young Thaddeus Sivana, a little green worm sits caged outside the Rock of Eternity. When Billy and his foster family journey Shazam’s throne room, the worm has disappeared, likely freed as a result of Sivana’s freeing the Seven Deadly Sins. He appears again in the end credits, taunting Sivana that they must journey to the Seven Realms. 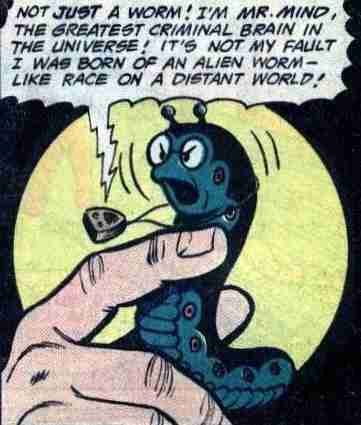 That worm is one of the looniest, best creations of Bill Parker and C.C. Beck — the villainous Mr. Mind. Even in 2019, he’s as ridiculous as he is deadly. But there’s more. You may have also noticed that stuffed tigers repeat all over the movie — at the carnival where Billy is separated from his mother, and again in the Christmas carnival (how did New Line not release this movie at Christmas-time?). In the current comics run by Johns and Dale Eaglesham, the Seven Realms are known as the Magiclands. 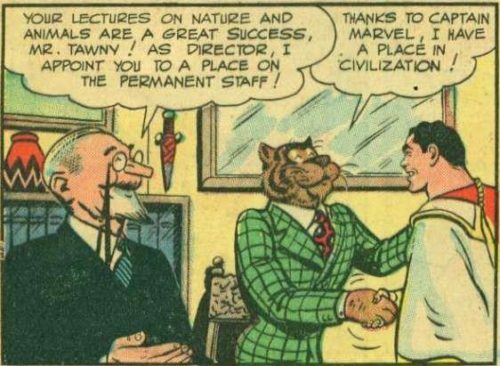 Some of the Shazam Family have gotten lost in the Animal Land, where they are about to meet Tawky Tawny, the talking tiger. That means Shazam 2 will give us Mr. Mind, more Sivana, and Tawky Tawny. We can wait for Black Adam. Some have speculated that Mr. Mind wants to resurrect Adam, but I’d much prefer the original reason he wasn’t around — not dead, but exiled to the furthest point in space that Shazam could send him, and it’s taken him thousands of years to get back.